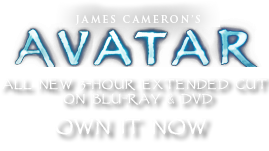 Banshee Catcher | Pandorapedia: The Official Guide to Pandora | Own AVATAR on Blu-ray & DVD Now! During Iknimaya, a young Na’vi must approach the ikran or “banshee” and snap the frond quickly so that it wraps around the creature’s snout. Like a Terran crododile, the banshee can exert enormous bite pressure with its jaws, but in the opposite direction, it cannot muster much opening force. So the bola, once in place, keeps the banshee from opening its mouth. 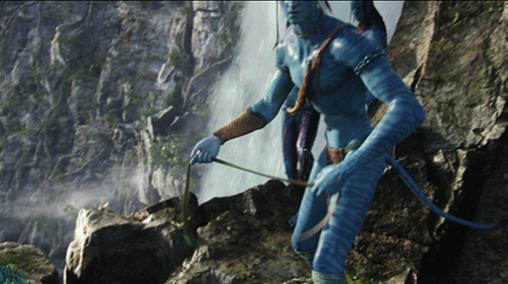 The Na’vi youth can now leap atop the banshee without fear of being bitten, but he or she must move quickly, using a grip like a wrestler, to force the banshee’s head downward until its “chin vane” is touching its neck. This apparently creates a stress reaction in the banshee that prevents it from flying away. It will flap ineffectively and rise a meter or so, but cannot, or will not, take to full flight in this state, much as a horse will buck in place rather than running forward in attempting to throw off a rider. The banshee, even in this state, is still a formidable adversary. It can strike with the long scythe-like claws on the “alulas”, or grasping finger, of each wing. These are used in hunting and are razor sharp. A single well-placed strike could eviscerate a young would-be rider, or at least create a dramatic permanent scar to help him remember the big day. The young Na’vi has only seconds to connect his or her queue to the tendrils at the end of one of the banshee’s antenna. In that moment, sealed by the subsequent first flight, a lifelong bond is established that allows the Na’vi and banshee to ride through the sky with elegant, seemingly effortless coordination. It should be noted that an imprecise toss of the meresh'ti cau'pla has led to the death of many young Na’vi at the hands of an angered banshee. It should be noted that an imprecise toss of the meresh'ti cau'pla has led to the death of many young Na’vi at the hands of an angered banshee. Function A bola used to subdue animals. Can also be used as a tie-down. Na'vi Name Meresh'ti cau'pla or “nothing to see” . Size and Weight 2.3 meters long, 5.5 kilograms. Materials Made from the leaves of the razor tree, a sinuous and durable plant similar to a Terran palm frond, weighted at one end with a stone. The plant’s sticky, hair-like underside helps fasten the bolo to the animal.